Watoto, photographed in June 2014. Photo by Dennis Dow/Woodland Park Zoo. We have heard touching stories from so many of you about how Watoto impacted your lives, and we want to share the latest news to keep you informed on a subject we know is so close to your hearts. Following Watoto’s death in August, we have now received laboratory results that are helping us understand more about the loss of our 45-year-old female African elephant. According to the zoo’s Director of Animal Health, Dr. Darin Collins, the most relevant finding from the pathology report was the chronic, age-related arthritis in the elephant’s leg joints, which had been described during the post-mortem examination. Additional findings in other tissues examined, such as age-related changes in heart and muscles, were mild and within expected limits and were not life-threatening. There was no evidence of an infectious disease process, in the joints or in other tissues examined. In addition, the pathologist did not find any evidence for a herpesvirus infection. During multiple attempts to get Watoto to her feet, several hourly blood draws that were taken to monitor her health status showed her overall condition was in swift decline, added Collins. “We are not surprised by the pathologist’s findings, which are consistent with those of a geriatric animal. Watoto did not show any new health concerns and her behavior and appetite were normal in the days leading up to her death,” explained Collins. The median life expectancy is 41 years for a female African elephant. (Cynthia J. Moss. The demography of an African elephant (Loxodonta africana) population in Amboseli, Kenya, J. Zool. Lond. (2001) 145-156). Collins noted that the incredibly difficult decision to humanely euthanize Watoto was by no means swift. The decision to euthanize an animal is made after consultation with appropriate animal collection staff. “We take every possible measure to ensure a sick or injured animal receives the best treatment and care possible. However, euthanasia may be the only humane option, especially for an aging animal that is deteriorating, like in Watoto’s situation,” said Collins. Watoto was born in Kenya between 1969 and 1970, and joined Woodland Park Zoo’s elephant herd in 1971 as an orphan from the wild. She lived a long and interesting life, and loved to be playful with her keepers and zoo guests. 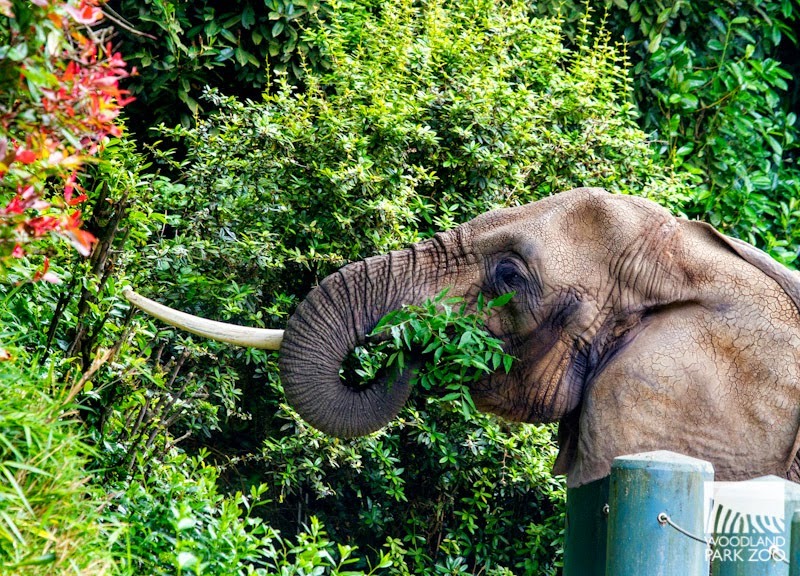 Even in her later years, the geriatric elephant made a heartfelt impact on zoo visitors, staff and keepers, some of whom had the pleasure of caring for Watoto for more than three decades. Watoto was the only African elephant at Woodland Park Zoo, distinguishable by her large ears, saddle-shaped back and visible tusk. She was loved by all. “We are very grateful to our community for the support they have shown us as we grieve the loss of Watoto. We will miss her regal presence and hope that people don’t forget her and the role she played as a champion for her cousins in the wild. We encourage people to continue honoring her memory by signing the 96 Elephants pledge to end the ivory trade and help save African elephants from extinction,” added Ramirez. Zoo-goers can see the current members of the elephant herd at the award-winning Elephant Forest: females 47-year-old Bamboo and 35-year-old Chai, both Asian species. A donkey allergic to hay? You don’t say! Why do snakes stick out their tongues?